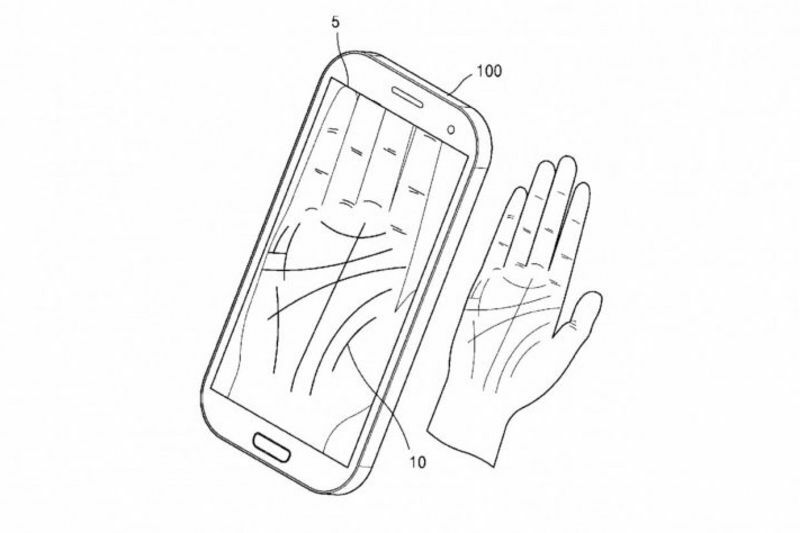 Samsung has already let its users unlock their phone's with a fingerprint or their iris, but now the company is thinking of other ways to secure your device, and it reckons the answer lays in the palm of your hand. A recent patent application from the South Korean firm describes an authentication system for your phone, in which a persons password is embedded in an image of the user's open palm; when you point the camera to your hand, it displays some of the characters, so as to give you a hint to what your complete password might be. While this has not been widely explored in the past, David Zhang from the Zang-City University of Hong Kong, Kowloon, noted in his 2006 book Palmprint Authentication that no two palmprints are completely identical, and so they could prove useful in biometric identification tech. Fun fact: the veins in your hands are also unique to you. So far it is not clear if this will make it to a Samsung handset in the near future, but it is definitely an interesting idea that allows for multi-factor authentication for greater security. It could also mean that Samsung won't have to ape Apple's Face ID in its next mobile security push. Keep an eye out for any updates on the palm-reading-password-protecter. Samsung Designs A Retro Flip-phone!